The government will now protect and promote the current tax relief for employers to invest in the mental health of their employees, including continuing to allow tax relief for EAPs to the private sector, according to the government's report 'Improving Lives, the future of work, health and disability' published last week. This will continue to include to allow tax relief for EAPs to the private sector. The report asks the Health and Safety Executive to revise guidance to raise employer awareness of their duty to assess and manage work-related mental ill-health. This follows the Thriving at Work: the Stevenson/Farmer review of mental health and employers report published in October. Nicola Neath, Chair of BACP Workplace Division says: "[This is] a welcome step, however, employers have always had a legal responsibility towards staff (psychological health is covered in the Health and Safety at Work act). "One of the things employers can do is to provide access to EAP/and in-house counselling schemes. These schemes and services are often much quicker than access to primary care mental health services and our members working in these provide a vital (often lifesaving) support service that would otherwise fall on the burden of public services." Nicola added: "While recognising that employers have a part to play in workplace mental health, we also believe that it’s vital to ensure that employees; as well as having support systems at work, can get timely access to properly funded services on the NHS. The Stevenson/Farmer review recommended that ‘Government NHS bodies enable and encourage IAPT and other mental health services to provide quick and convenient access to care to fit around employment’ and the government accepted this recommendation, however, the reality is that waiting times remain too long. The government’s acknowledgement of many of the recommendations made in the report shows a willingness to improve workplace mental health; sadly there is little in the way of resources to deliver it, and much of the responsibility is passed over to employers. 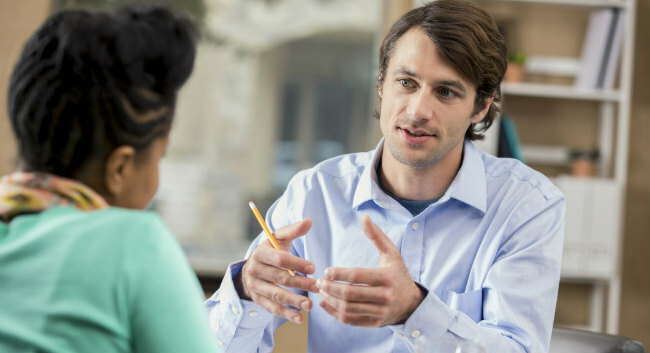 There is still much to be done, particularly around emphasising the positive role that counsellors and psychotherapists can play in achieving improved mental health in the workplace. Delivery is key and BACP will closely monitor and seek to influence the implementation of the Government’s supported recommendations.